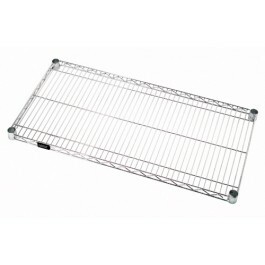 12" x 36" Chrome Wire Shelving Shelves have a bright, shiny surface which comes from a plating process where hard chrome is deposited over a nickel surface. This finish is the most popular utilized due to it being extremely durable and able to be used in almost any type of application. 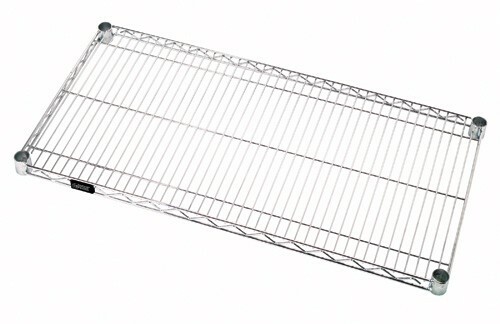 Shelves have all welded construction with additional Wire trussing for high strength characteristics. Wire allows air to circulate and light to penetrate for increased product visibility. 600 - 800 lb. capacity per shelf.